Super news for us iPad gamers, ARDefender is now fully Universal. The 3D playing fun we have had on our iPhones for the last year can now be played on the big screen of our iPads. 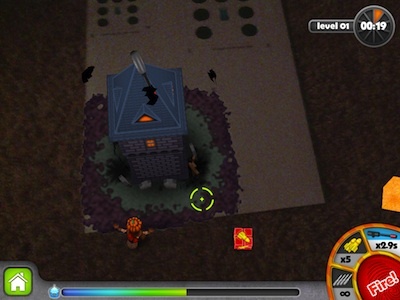 To add a bit, the game has been updated for the holidays with the evil side of Halloween on the attack. The fun of Augmented Reality is the full 3D world where nothing is. 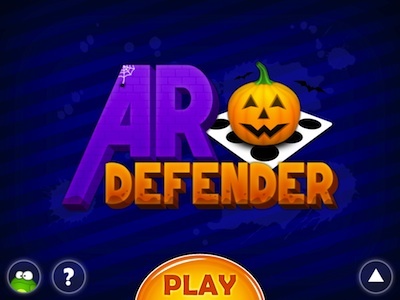 Your iPad or iPhone, with the ARDefender game running, will show you towers and 3D Halloween attackers right in front of you, where there was nothing before. Game play changes and gets more difficult as little walking guys lead off, followed by flying evils too. To play a Augmented Reality game, you need a graphic for the game to center off of. From that image, the game will build it’s 3D game zone, allowing for you to move around that zone. Looking at the buildings and moving parts from the angle you turn your iPad. The ARDefender site has the graphic to use via a free download. 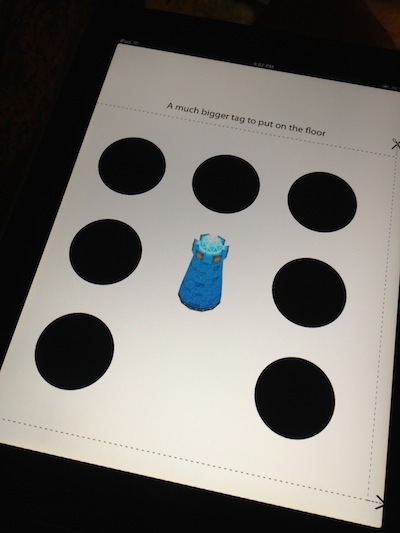 Since this was originally a iPhone game, we already have the PDF on our iPads. That way, we viewed the image on the iPad for the iPhone to use for the game… doesn’t work so well if your using the same iPad to play the game with. Since ARDefender works with multiple people playing, one game graphic can have the whole office standing around playing using their iPhones and iPads. 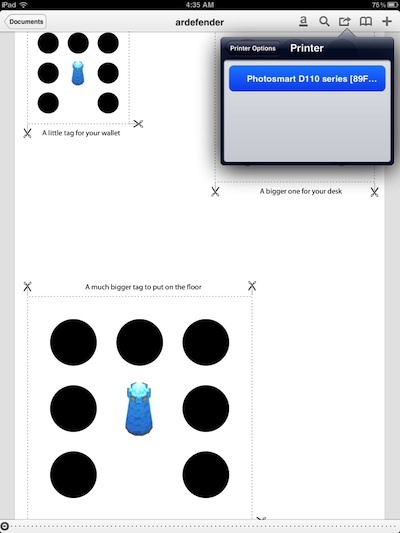 Since we have the PDF on the iPad from before and it’s in ReaddleDoc, choose ‘Print’ from the AirPrint option to have a paper version of the ARDefender game area. Of course this can be done from the computer if you download the PDF there too… we’re just having fun with the features of the iPad. Game play on the big screen of the iPad is much more controllable since you can see more of the ARDefender game zone. You can move closer to the AR paper to see things bigger in more detail or pull back for a larger play area. You do not need to be close to the paper, in fact if your further back you can see the evil ones heading your way further back. 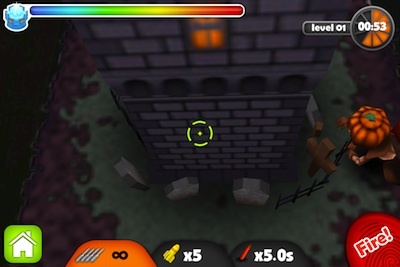 Targeting is a bit more difficult, but that is the challenge of ARDefender. 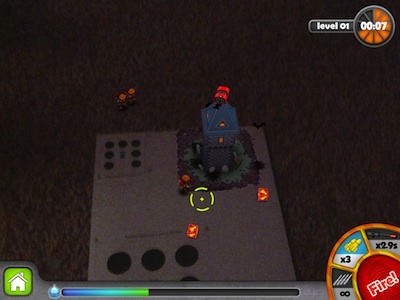 Since the paper has three different size playing fields, it is possible to jump from one zone to another mid game.